Regardless of the type of residential fuel that you use to heat your New England home, chances are you will see fluctuations in the market rate that will cause you to want to find new ways to reduce energy use. Home heating oil is a popular fuel that is used in the northeastern states, providing warm and comforting heat to thousands of customers right here in the South Coast region. Automatic home delivery, monthly payment plans and other programs take the guesswork out of winter fuel delivery in Portsmouth – and beyond – making it easy for homeowners to make sure that they have enough fuel to keep their homes warm and cozy all winter long. One sure way to see your winter utility costs go sky high is to have a leak somewhere in your home. Common culprits include windows, doors and other entries to your home, as well as attics, basements and other typical areas. One way to cost-effectively check for drafts is to light a candle and hold it around the edges of windows to see if cold air blows in toward the flame. This will also work with doors and other areas of your home. To fix drafts, you can use weather-stripping products or caulking, both of which are very affordable and easy to use. If you aren’t sure how to use them or aren’t confident in your skills, you can hire a handyman or look into having your home checked for air sealing with a professional insulation installer. There are many ways to seal air and vapor leaks in your home that are more budget-friendly than they were just a few years ago. BONUS TIP – Use heavy curtains and blinds over windows at night to keep the cold air from penetrating through old windows. During the day, open up windows and let the sunlight shine through, providing free and natural warmth. For door drafts, roll up a bath towel or look online for an easy DIY sewing project to create what is known as a “draft snake” to place along the bottom of your door. These simple tips can reduce energy use by 5-30 percent, saving you hundreds of dollars each year. 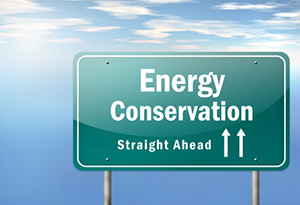 Another way that you can reduce energy use and consumption of home heating oil is to lower your thermostat. Just a couple of degrees can really make a difference. In fact, energy studies show that for every degree you are able to lower the dial on your thermometer, you will save somewhere between 1-3 percent off your energy bill, according to the Department of Energy. BONUS TIP – When you adjust your thermostat, find other ways to keep warm. Sweaters, fuzzy socks, throw blankets when you are relaxing or watching television – these are all great ways to keep warm. Warm fabrics include: wool, fleece, heavy cotton and flannel. Taking advantage of today’s technology and opportunities is another great way to reduce energy use. Sign up for automatic home delivery for your home heating oil service and you will save money compared to homeowners who have to call for emergency services when they notice they are getting low right before a winter storm. Columbus Energies provides winter fuel delivery in Portsmouth, helping customers to always have warm, safe heating fuel whenever they need it. Another way to set-it-and-forget-it is to switch out your thermostat to a programmable thermostat. You will have much more control over where the heating is set and will be able to automatically adjust the temperature during the day when you are at work or school, as well as at night, when experts recommend that we turn down the heat as we sleep. According to the EPA, the average family will save as much as $150 a year by using a programmable thermostat and automatic home delivery service. BONUS TIP – Installing a programmable thermostat is easier than you might think. A $50-100 investment at your local hardware store or home improvement center will quickly pay for itself in a single season. If you aren’t confident in your skills, ask about professional installation or call your local handyman. Whatever it costs you will still reduce energy use and save money on your home heating oil bill. If you think you are spending more money on home heating oil this year than you were last year, consider getting a home energy audit run. There are professional services that will do this for you using high-tech infrared imaging tools and other services, but you can do this for yourself. Speak with Columbus Energies about running an audit to help you reduce energy use on your winter fuel delivery in Portsmouth. Or, you can compare your bills from last year to this year to get an idea if your home heating oil consumption has risen or stayed the same. BONUS TIP – There are other ways to check for heat leaks in your home. Look at your roof compared to your neighbors’ roof to see how quickly the snow melts. If your roof melts faster, you might need more insulation in your attic. You can also check around your property for heat leaks wherever they may occur. Columbus Energies provides home heating oil at the lowest possible prices, helping our customers to afford safe, warm heat for their families. We offer a 24/7 service, which allows for emergency winter fuel delivery in Portsmouth, as well as automatic home delivery services. With automatic home delivery, customers will also enjoy the no-run-out guarantee, providing peace of mind that there will always be fuel in the tank, no matter what happens with the weather. No more monitoring your fuel supply and then having to call for delivery – let Columbus Energies take care of your home heating oil once and for all. BONUS TIP – Save even more money with a residential service plan, which will help keep all of your equipment and appliances in proper working order, saving you money on annual tune-ups and maintenance work. This can translate to hundreds of dollars each year and studies show that equipment that is properly maintained can reduce energy use and save you money on home heating oil costs as well. For more information on Columbus Energies and all of the automatic home delivery and winter fuel delivery in Portsmouth and the surrounding area options that we provide, give us a call. Our friendly and helpful service staff can get you started on home heating oil or propane gas delivery. 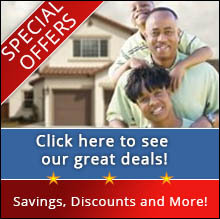 We can also give you tips and provide services that will help you reduce energy use. You can count on Columbus Energies to provide quality services that will help keep you and your family toasty and warm all winter long!